In Vitro Fertilization Cost - What You Are Paying For? In Vitro Fertilization Cost – What You Are Paying For? 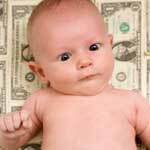 In Vitro fertilization cost in the United States hovers between $10,000 and $15,000 for each cycle. Given its 30%-40% success rate in women under 34, it’s not a wonder that even though its cost can be considered by some to be astronomical, it remains an extremely popular conception method. The In Vitro fertilization procedure is used for many different reasons. Often, it’s employed when female infertility treatment has failed or there is another medical reason for failure to conceive. Blocked fallopian tubes, endometriosis (one of the common causes of female infertility), or even the failure of a reverse tubal procedure can all be reasons that the exorbitant in vitro fertilization cost is considered. So what do you get for the price of a small car? Well, you do get a lot. Your cycle of care will start with hormone treatment. This will increase egg production making the chances of success higher. After it has been determined that egg quantity and quality are optimal, they are harvested via needle aspiration. After this step begins the sperm collection, normally done either through masturbation or a small incision in the testicle. All of these preliminary steps contribute to in vitro fertilization cost. The next step is to take the eggs and sperm and incubate them together in a glass dish for a period of time lasting anywhere from 2 days to about a week. Then, a few days after this process, the very best fertilized eggs are picked to be placed into the uterus. This is done through a catheter inserted through the cervix. These steps are all associated with in vitro fertilization cost. It’s important to remember that the cost that comes with in vitro is per cycle, meaning that each unsuccessful attempt means that to begin again, the same thousands of dollars must be paid. There are also in vitro fertilization risks that are important to consider, along with the financial implications. For instance, ovarian hyperstimulation syndrome can occur, and while some may not see it as a side effect, multiple births are common with the in vitro method. If you are considering in vitro, talk to your doctor about it. He or she will counsel you on the specifics of the treatment including risks and benefits, and give you a better idea about the full cost, which will likely be specific to your geographical location and the skill and experience level of your doctor. In vitro has given many people a chance to be parents who might not have otherwise, and for some people, you just cannot put a price tag on that.